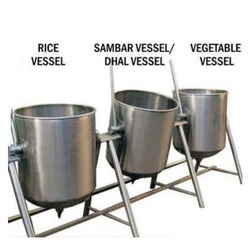 Steam Operated Ideal to cook Dhal, Vegetables, Mutton & to prepare Samber and Rasam, Construction SS18 or 16 SWG Tubular Stand, Tilting Handle and Steam Inlet. 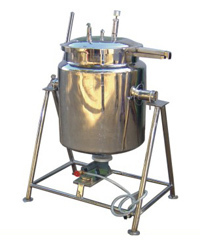 Size : 50, 75, 100, 150, 200, 250 and 300 Liters. Gear tilting also will be arranged on request. 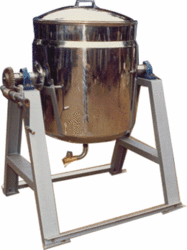 Steam Operated, Fully Doubled Jacketed Construction SS16 & 18 SWG, MS/SS Tubular Stand, Tilting Handle, Safety Valve. 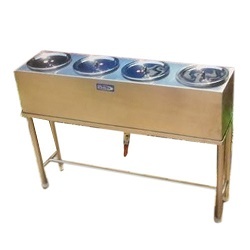 Size : 25, 50, 75, 100, 150 and 200 Liters. 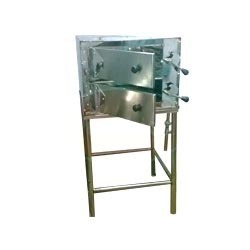 Construction 16SWG SS Sheet, SS Drain Value, SS Filter Plate placed on Tubular stand with Tilting Facility. Capacity 250 to 2000 cups of tea in one hour. 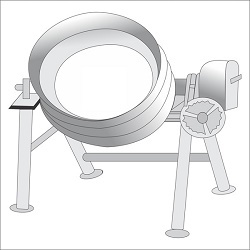 Tilting Vessel Steam Jacketed with Gear Tilting system rotation 360 inner and outer of SS or inner SS Outer MS.
Capacity 25, 50, 100 & 200 Liters. 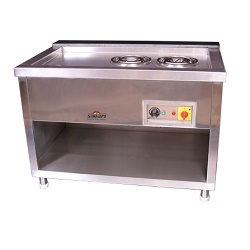 Designed to prepare iddlies in bulk for mass Catering, Puttu, Idiappam, Eggs & Mutton also can be boiled. Work on Low Pressure steam (3 to 5 PSI). 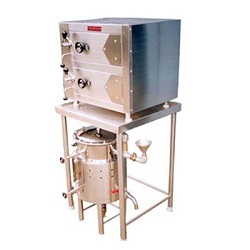 Separate steam generators also provided to supply steam. Models range from 36 to 400 Iddlies per change. Operated by LPG direct Gas Flame. Capacity from 60 to 120 Iddlies per charge. Electrical Model & Steam connection mounted on MS/SS pipes. Model : 3 to 10 holes.